A number of recent events in the last decade have renewed interest in Russian discourses on international law. 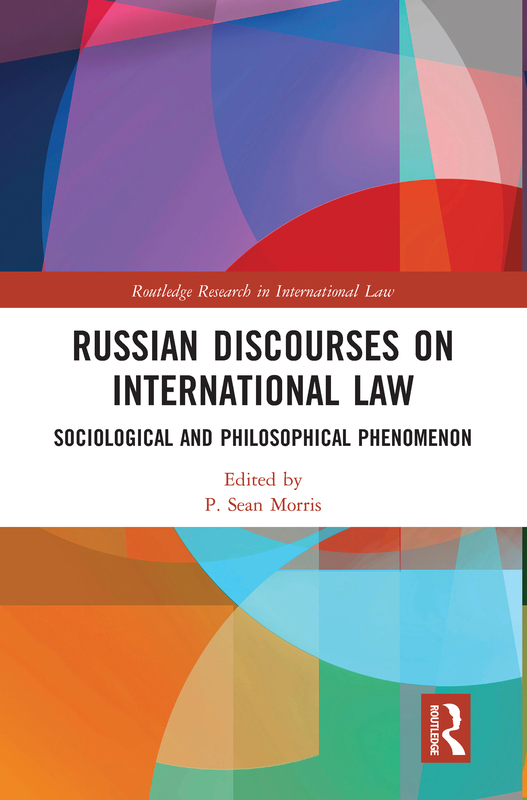 This book evaluates and presents a contemporary analysis of Russian discourses on international law from various perspectives, including sociological, theoretical, political, and philosophical. The aim is to identify how Russia interacts with international law, the reasons behind such interactions, and how such interactions compare with the general practice of international law. It also examines whether legal culture and other phenomena can justify Russia’s interaction in international law. Russian Discourses on International Law explains Russia's interpretation of international law through the lens of both leading western scholars and contemporary western-based Russian scholars. It will be of value to international law scholars looking for a better understanding of Russia’s behavior in international legal relations, law and society, foreign policy, and domestic application of international law. Further, those in fields such as sociology, politics, philosophy, or general graduate students, lawyers, think tanks, government departments, and specialized Russian studies programs will find the book helpful. An Incompatible Ideology, and a Transplanted Legal Regime?